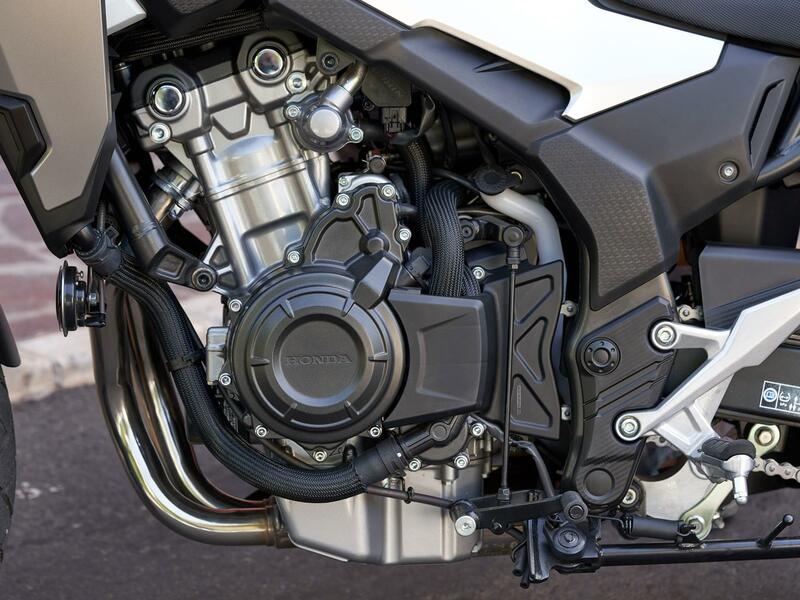 Honda has packed the 2019 CB500X with a host of seemingly small engine, chassis and styling upgrades, but they actually add up to a lot, making it more capable than ever. That will be music to the ears of the newer riders amongst us, but it’s a machine that oozes so much class in just about every situation, it’ll impress the experienced, too. 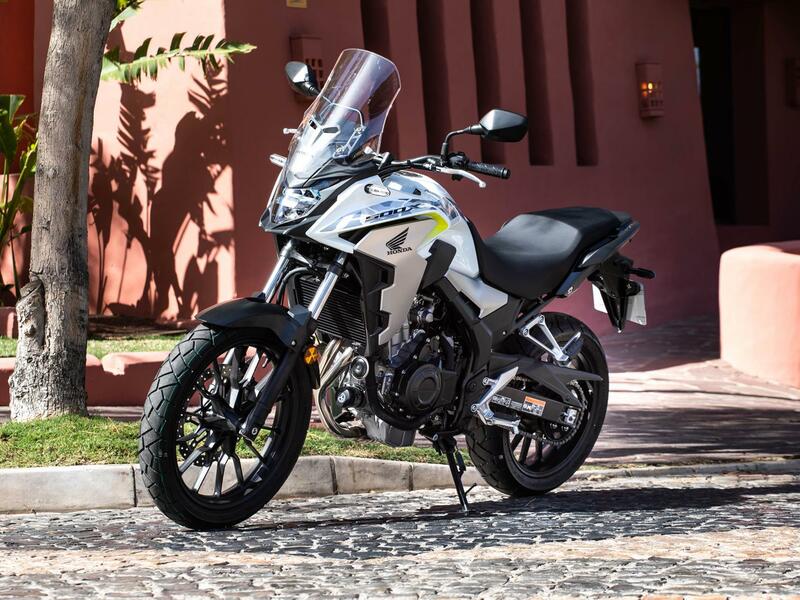 Power feels so much fatter than its 47bhp would suggest and just like a big capacity adventure bike it’s spacious, agile, plush, characterful and handles superbly both on tarmac and dusty off-road trails. Finished and detailed like a bike costing twice the price, the CB500X is an exceptional machine. Its main competition comes in the form of the Chinese-built Benelli TRK 502. New longer travel suspension, a 19” front wheel (replacing the old 17-incher), Dunlop Trailmax Mixtour tyres and 10mm more ground clearance (up to 180mm), lets you do more than just bump up a city kerb. It’s probably not going to handle the type of gooey green lanes we have in the UK, but on dusty gravel trails it’s more than capable. Not having a gazillion bhp, is a good thing off road and weighing just 197kg makes the CB500X much less of a handful than a big adventure bike. Steering lock is increased by three degrees (to 38) and bars are now 8mm higher and 3mm closer to the rider for more control. Although the basic tubular steel diamond chassis remains unchanged, the 500X has new seven spoke Africa Twin-style wheels and revised Showa suspension. It might be inspired to tackle the dirt, but the Honda is spectacular on the road, where it’ll spend most of its time. It’s more flickable, planted and fun at any speed and more engaging than its naked and race rep CB siblings. Balanced, composed and with impressive grip from its semi-knobbly tyres, this is the CB500 to go for whether you’re commuting, scratching or everything in between. It may still ‘only’ have an A2 licence-friendly 47bhp, but the way it surges forward on the throttle you’d swear it has a good 20bhp more. That’s all thanks to new valve timing, a bigger airbox and a straighter inlet tract, which unlocks 4% more grunt between 3-7000rpm. The parallel twin motor is equally happy for you to ride its torque, or slice through its smooth new gearbox and thrash the Charlie and Ewan out of it. 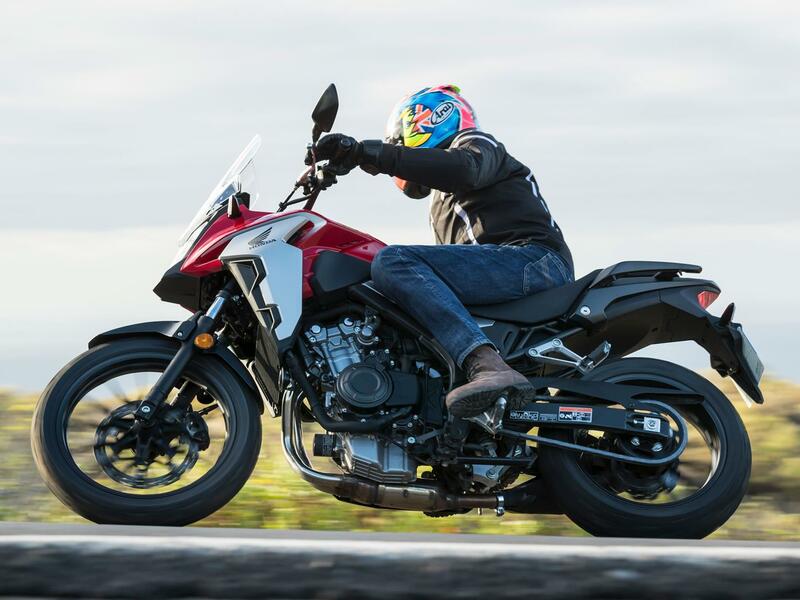 The CB500X constantly surprises you with its pace, as its new twin-piped exhaust can rumbles and spits on and off the gas. 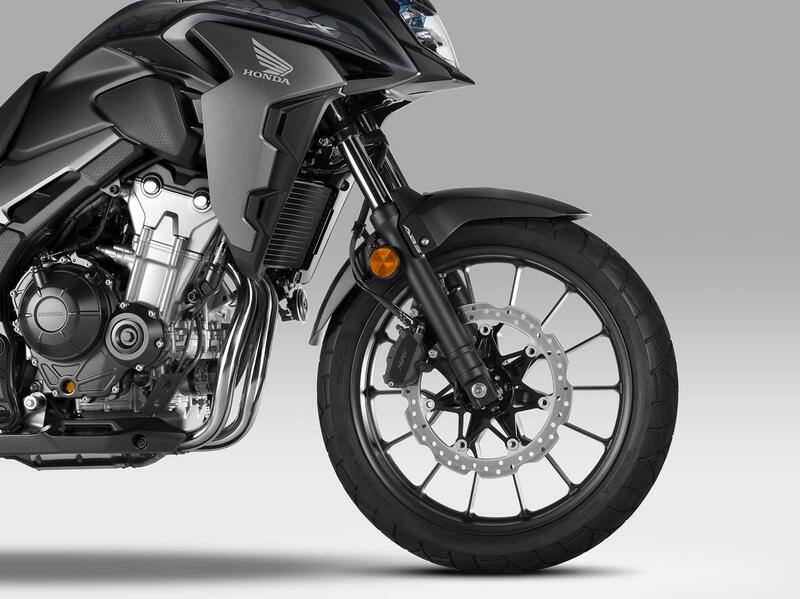 Power delivery, throttle and new slip and assist clutch are Honda-light and delicate to the touch. Honda’s CB500 range is extremely robust and mechanical problems are almost non-existent. Not only is the CB500X a bargain, running costs will be low, too. Service intervals are every 8000 miles and it sips fuel like a budgie. Honda claim 78mpg and a 305-mile tank range, which isn’t far off the mark. 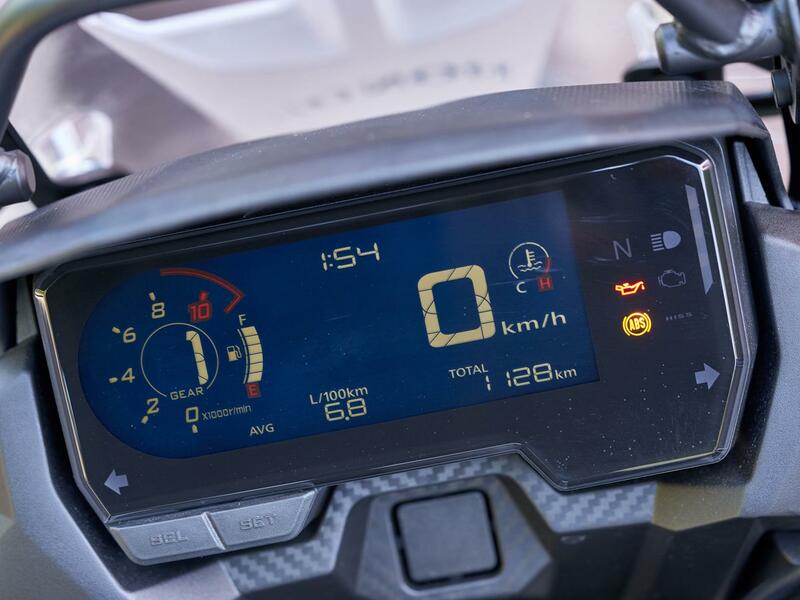 When we took the 2018 model on our MCN250 test it managed over 312-miles on a single fill-up. You also get a Datatag, two years unlimited mileage warrantee and European breakdown cover. New ‘layered design’ angular bodywork, with more flowing panels, give a shaper, more Africa Twin-look (shame it’s not available in similar HRC colours) and there are powerful LEDs all round, but best of all are the detail touches that show just how much love and thought Honda has put into the design of this humble 500. Radiator shrouds have been extended and the fuel tank is slimmer at the front to make it easier to move around. Honda says its improved airflow around the 20mm taller, two-way Allen key-adjustable screen (40mm between settings), but it’s still noisy at speed, like just about every other adventure bike out there. 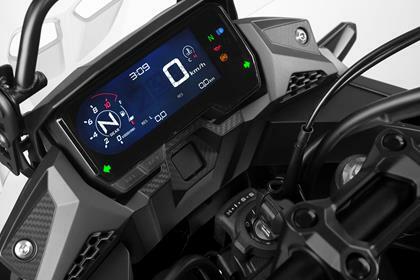 All 2019 CB500s get a new LCD dash, featuring all the important information you need, including a handy gear position indicator, fuel consumption data, race bike-style peak rpm indication and a shift light. Buttons are dash-mounted, leaving the switchgear clean and uncluttered. A Honda GPS mount can be fitted to the fairing bracket above. A full range of official accessories are available, including luggage, heated grips, centre stand, fog lights and a 12V socket, as well as cosmetic and protective goodies. 2013: Original parallel twin-cylinder CB500X launched to take advantage of new 47bhp A2 licence regulations. 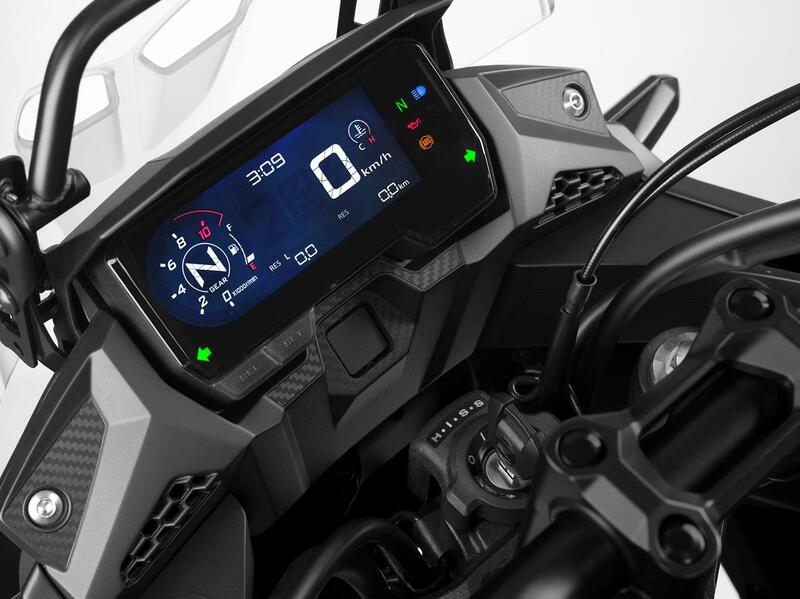 2016: Taller screen, new suspension with adjustable preload, adjustable brake lever, revised LEDs. 2019: Africa Twin inspired styling, 4% more grunt, longer travel suspension, 19” front wheel (replacing 17-incher), more steering lock, taller bars, new wheels and LCD dash. No owners have yet reviewed the HONDA CB500X (2019-on). 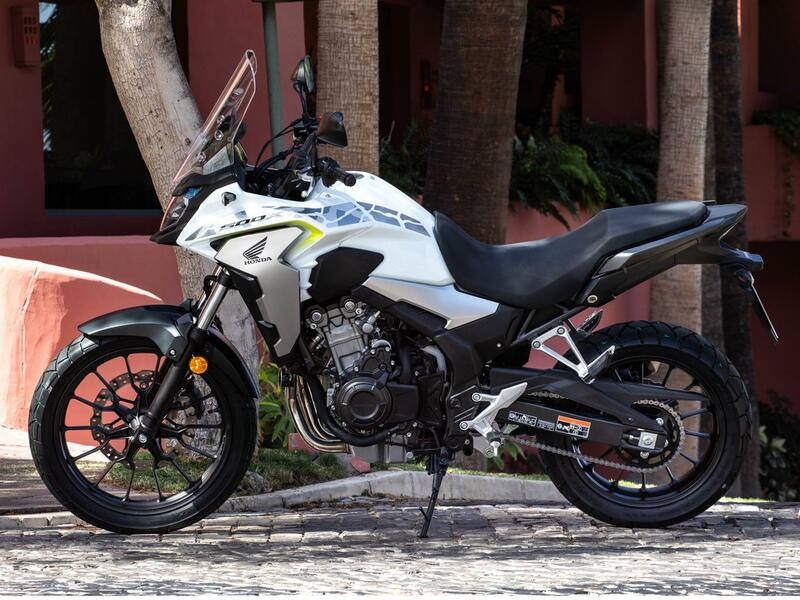 Honda's new CB500X adventure bike faces stiff competition - but it's a tough contender.